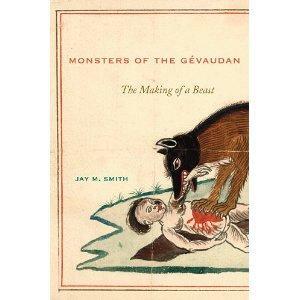 Host Frank Stasio talks with Smith about the story as documented in his new book ;Monsters of the Gévaudan: The Making of a Beast' (Harvard University Press/2011). Legend has it that a man-eating beast terrorized the former province of Gévaudan in south-central France in the 18th century. It attacked hundreds and attracted the attention of King Louis XV, who vowed to protect the French people and have the monster killed. Jay Smith, a professor of history at the University of North Carolina at Chapel Hill, says the beast was just a wolf, but that we can learn a lot about history by studying how this myth was formed.